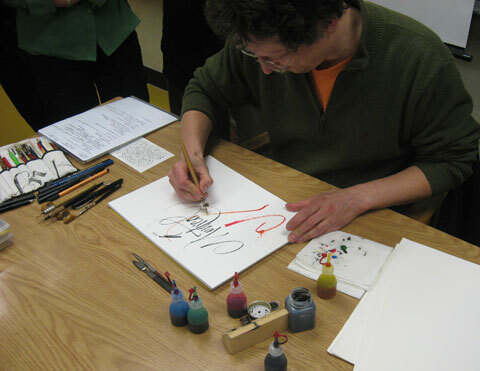 Calligrapher Thomas Hoyer gave a presentation of his work at Montreal's calligraphy society L'Association des Calligraphes de Montreal. He also gave a workshop on the use of the ruling pen, his speciality. Unfortunately, it was fully booked... At least, I saw his mini introduction on how to use the ruling pen after his presentation.